On our trip from Amsterdam to Volendam we stopped by the Jacobs Hoeve Cheese Farm in Katwoude, a village in the province of North Holland, about 2 km north of Monnickendam. 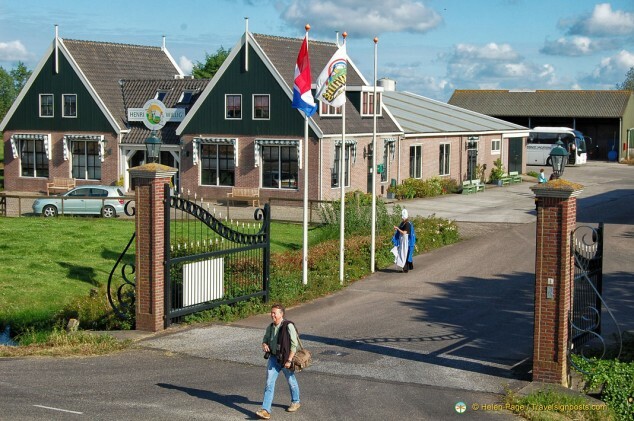 The cheese farm enjoys an idyllic setting in the polder (reclaimed land) overlooking the IJsselmeer. 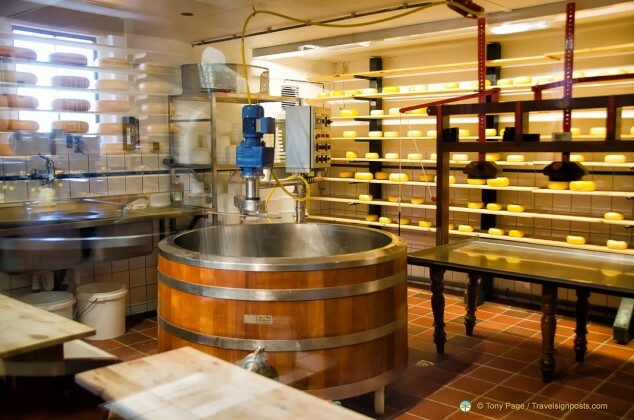 Before coming to Jacobs Hoeve, we were told that this is just a small cheese farm, but I later find out that it is one of four cheese farms belonging to the Henri Willig family. In fact we had on previous trips to the Netherlands visited another of their farms – the Catharina Hoeve at Zaanse Schans and weren’t aware of its wider connection. Henri Willig took over his parents cattle and dairy business forty years ago and together with his wife they expanded and transformed the dairy business to what it is today. We arrived early on a Sunday morning and our hostess at Jacobs Hoeve was just raising the Dutch and EU flags near the entrance gate. The river view was beautiful and so we dashed across the road to take some pictures of the area. Our hostess, dressed in traditional Volendam costume, patiently waited for us all to gather in the cheese factory so that she could explain to us the traditional cheese-making process at Jacobs Hoeve. 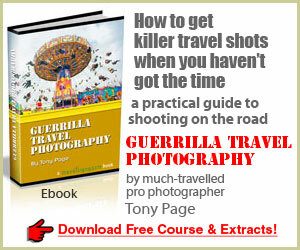 She was a tall lady and when Tony was loading this shot into our photo gallery he had a chuckle. She was a whole head taller than me, and made to look even taller by her pointy bonnet. Being Sunday, the factory was not in operation but our Jacobs Hoeve guide talked us through the cheese-making process at the farm. Unfortunately, I missed her introduction and didn’t know if she is a family member or one of the staff. In addition to the well-known Edam and Gouda cheese, Henri Willig also makes cheese from sheep and goat’s milk and in the fields there were a few very contented looking goats. 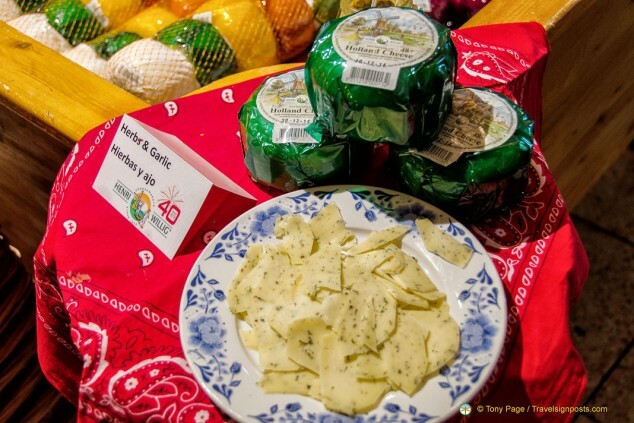 this trip we were exposed to more than the plain Edam, Gouda, Leyden, Maasdam and Prima Donna cheeses that we usually have back home. The truffle and pesto flavoured cheeses were a taste sensation and the aged Polder Gold cheese and goat cheese were delicious as well. 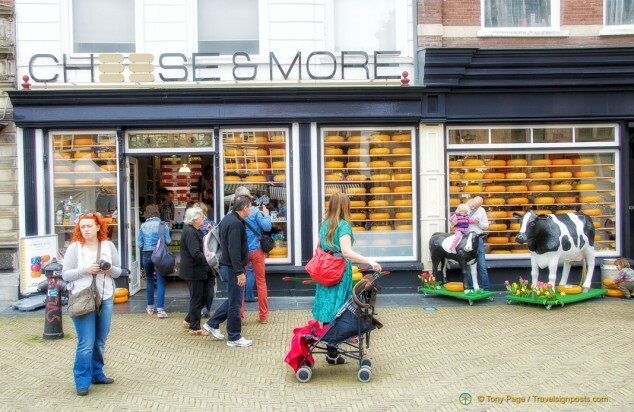 They also have a chain of luxury cheese shops under the business name Cheese & More and in fact we came across one of them in Delft. It’s always nice to know where the food you enjoy come from and I’m glad that on this trip we got to know a little more about Dutch cheeses. If not for the restriction on taking food back into Australia, I would surely have bought some truffle cheese and the aged Gouda. The prices are very reasonable as well. See more photos of our visit to Jacobs Hoeve Cheese Farm Here.